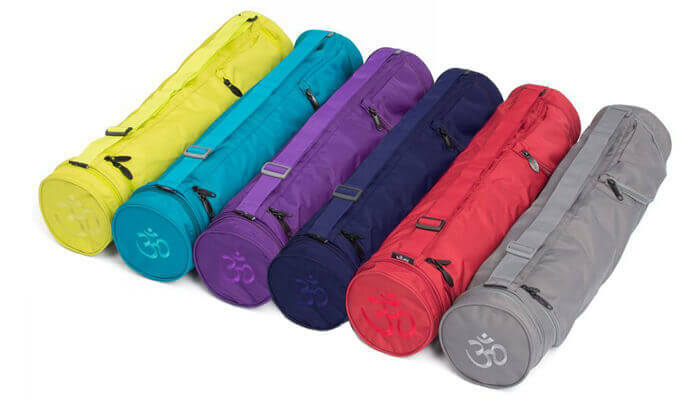 A practical, lightweight and stylish yoga mat bag with OM embroidery suitable for carrying most standard yoga mats of up to 61cm width. 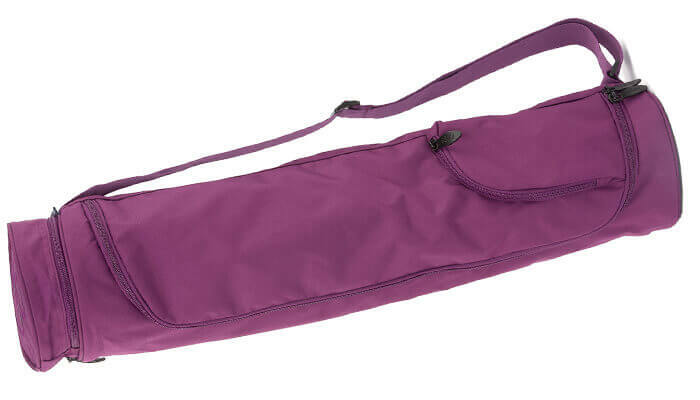 The strap is adjustable and can be carried over the shoulder or back. 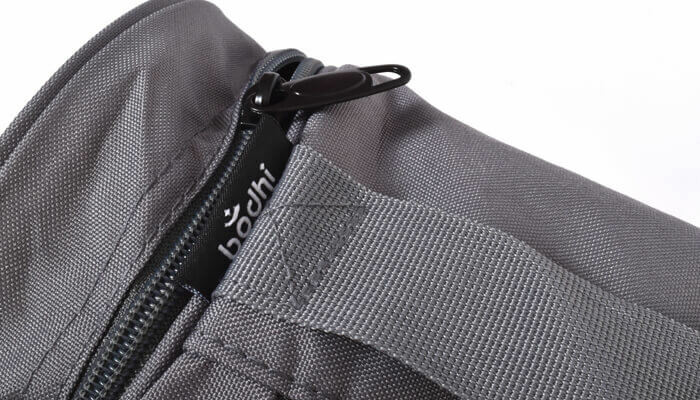 There are two outside zipped pockets for keys, valuables or other accessories. 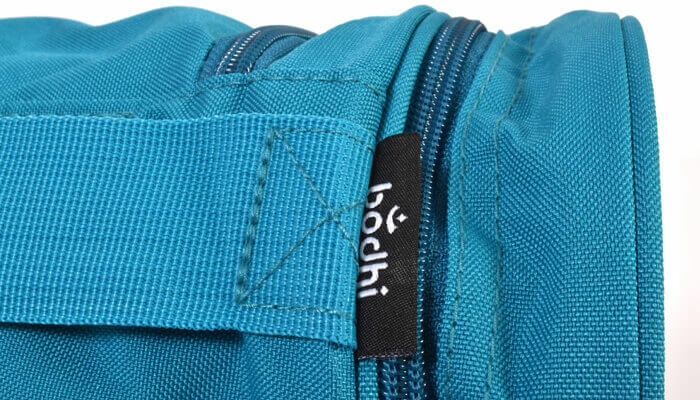 Easy access for your mat is provided by a full length zip. 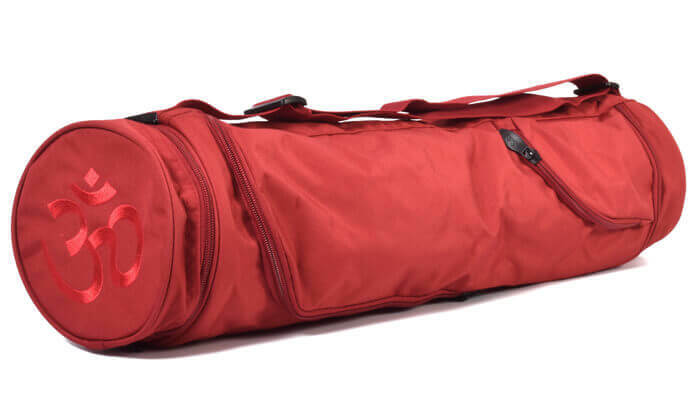 The bag is also showerproof and washable. 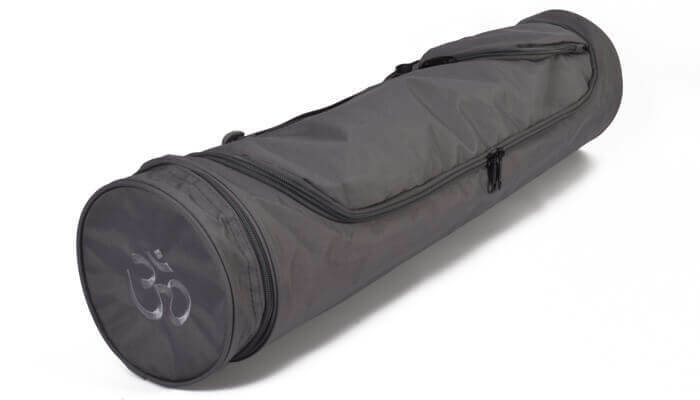 For yoga mats of up to 61cm width. 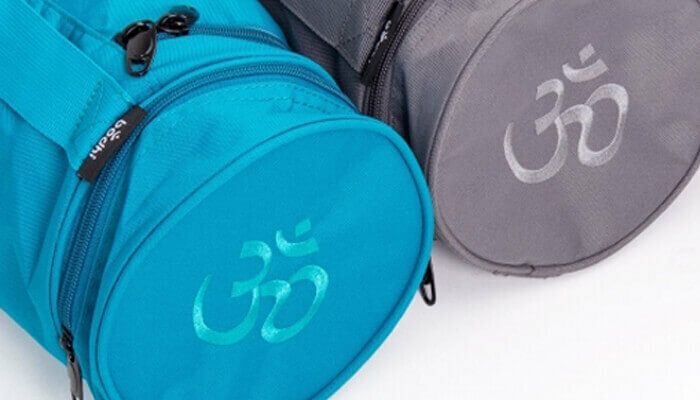 If you have a thicker or wider mat or are purchasing our Lotus Pro Mat, Yaa Mat or Ashtanga Mat we recommend one of our larger mat bags or the City Yoga Mat Bag. Please do call us if you need advice. 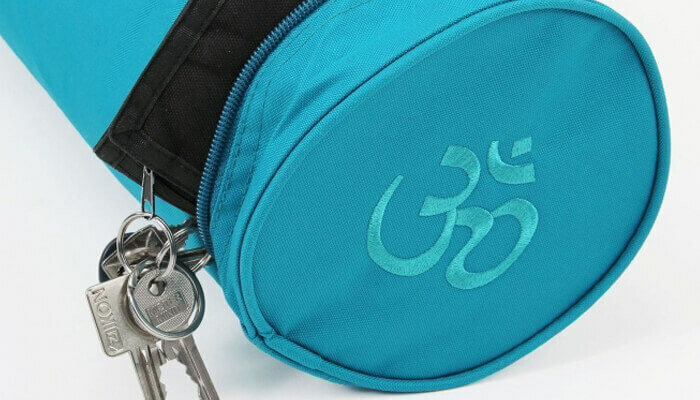 Lovely quality bag to carry not only a yoga mat but it also has pockets for a phone, keys etc. 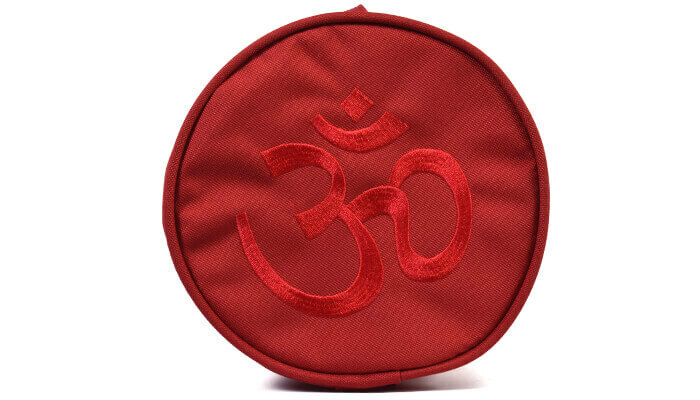 Well made and I like the Om embroidery. Nice touch. 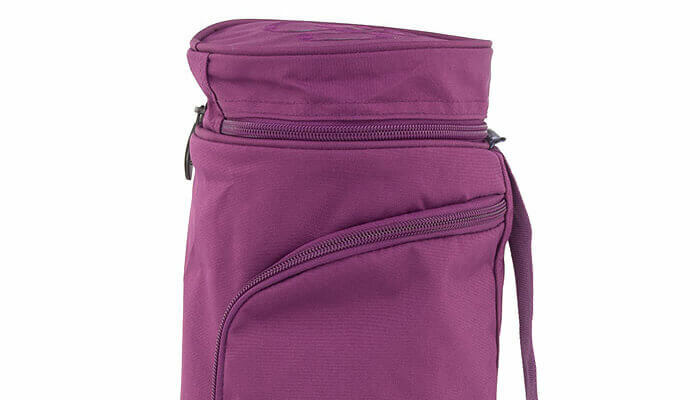 Great colour and useful pockets. It's not rained yet so haven't tested the waterproofing but it looks like it would do the job. 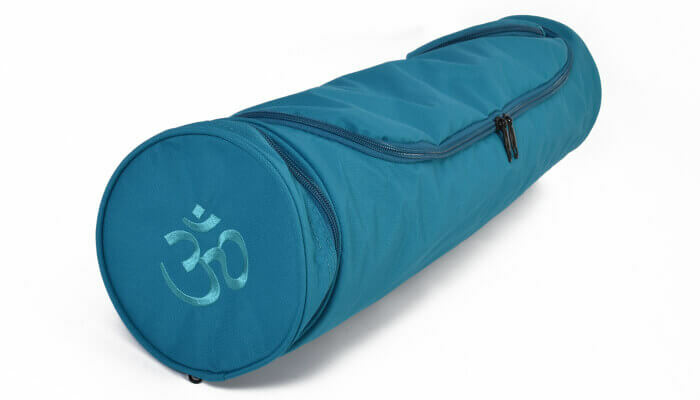 Purchased this to go with my first yoga mat, it's beautifully finished and fits the mat perfectly. 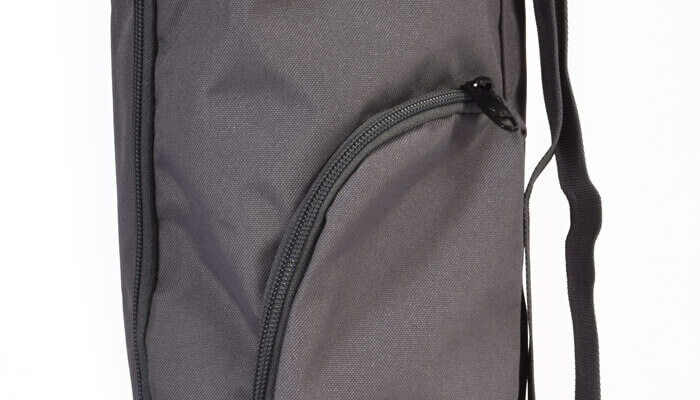 Particularly like the top and side pockets for essential item, nicely thought out. 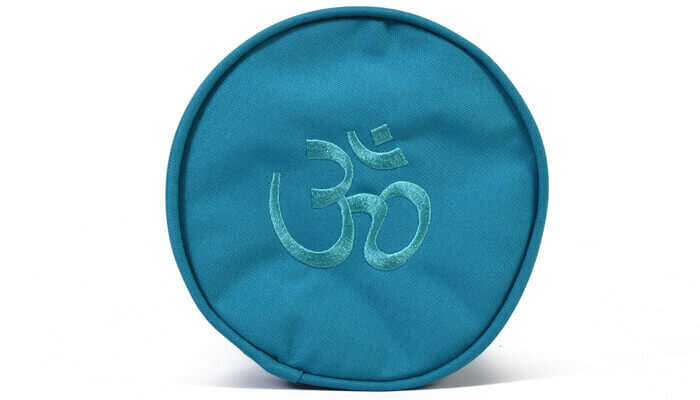 I am delighted with my Om yoga mat bag and also my mat . 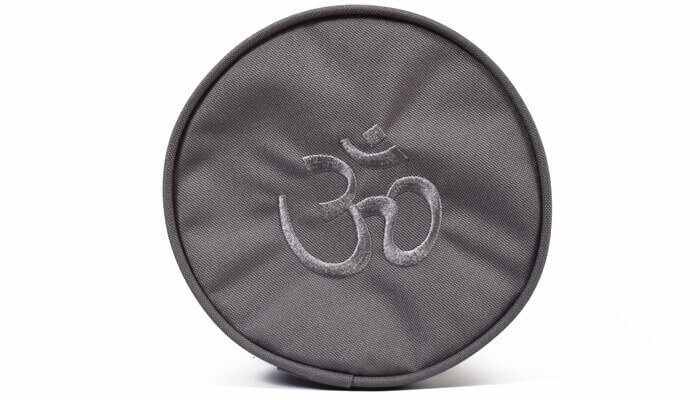 They are both of excellent quality and I shall be a returning customer as my yoga practice develops. Thank you .